You are at:Home»Parks and Recreation»The Spirit of Macedonia Funfest is on its way!! 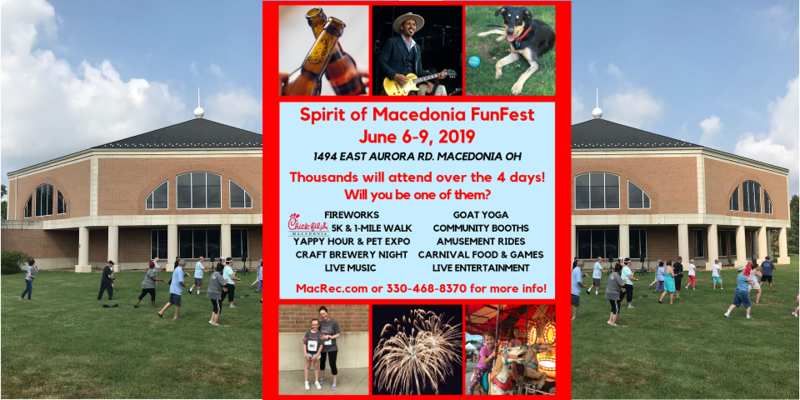 The Spirit of Macedonia FunFest is June 6-9 this year! We’ve added new special events that you don’t want to miss! We are accepting sponsors, community booth & pet expo applications! More @: macrec.com/funfest/sponsorship-2/ See our Calendar for updates as they are made available!